It’s character building time! We’re almost ready to start playing in the world of Exploration Age and I couldn’t be more excited. Last Thursday I posted my version of the svirfneblin, duergar, and shifter PC races and their unique stories in Exploration Age. There’s three more classic D&D races I’ve made available to my players and each has their own story twist for my campaign setting. Githzerai just look so cool! New to Verda by many other races’ standards, githzerai came to Verda to aid the tribes and tieflings with the incursion of their oldest foe – the githyanki. The githyanki violently invaded the Material Plane, looking for a place to lay their eggs as they cannot lay them in their home Astral Plane. For years they terrorized the tribes and tieflings, until the githzerai got wind of the invasion. They were old enemies of the githyanki and were driven from their Astral Plane home to the Swirling Chaos of Mispuria by the evil race. The githyanki heard the tales, knew the Material Plane was in need, and added their might to that of the tribes and the tieflings. Over 200 years later, some githzerai still remain in Verda because they enjoyed life in the Material Plane, or because they are still trying to hunt down every last githyanki. Many githzerai have been accepted into the tribes and some have even had offspring with humans. Githzerai are the picture of calm and peaceful. They have seemingly endless patience and believe all the power an individual needs to find enlightenment lies within one’s self. As a result, they often serve as shamans and spiritual advisors to the tribes, giving council on all matters often whether or not their opinion was asked. The githzerai seem to share an unspoken superiority to the other races of the tribes, as they were instrumental in staving off the githyanki incursion. Githzerai get along with just about anyone, but they can come off as condescending and superior, which is known to turn certain folks off. Githzerai adventurers could be monks on quests to find enlightenment, githyanki hunters, powerful shamans seeking the ways of the world, or anything you dream. Ability Score Increase. Your Dexterity score increases by 1 and your Wisdom score increases by 2. Age. Githzerai reach adulthood around the same time as humans and live to be about 100 years old. Alignment. Githzerai are pragmatic, sometimes to a fault, so they tend to be neutral. They fall all over the spectrum of law and chaos. Size. Githzerai are between 6 and 6 and a half feet tall and weigh between 150 and 200 pounds. Your size is Medium. Mental Magic. You know the mage hand cantrip. When you reach 3rd level, you can cast the blur spell once per day. When you reach 5th level, you can also cast the haste spell once per day, but you may only target yourself with the spell. Wisdom is your spellcasting ability for these spells. Mental Might. You have advantage on saving throws against charm effects. Languages. You can speak, read, and write Common and Githzerai. I’ve already written about the story of the sweet, sweet kalashtar here. Now for the mechanics! Ability Score Increase. Your Charisma score increases by 2 and your Wisdom score increases by 1. Age. Kalashtar reach adulthood around the same time as humans, but can live to be 200 years old. Alignment. 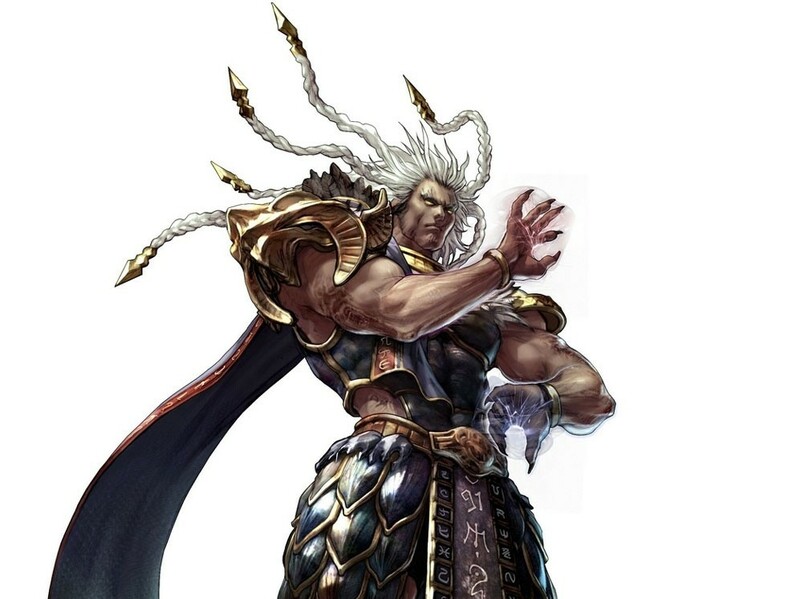 Kalashtar are good-hearted and community-oriented so they tend to be lawful good. Size. Kalashtar have the height and build of humans. Your size is Medium. Bastion of Mental Clarity. You have advantage on saving throws against spells of the illusion school of magic. Subtle Psychic. Choose one of the follow skills: Deception, Intimidation, or Persuasion. You are proficient in that skill. It’s hard to beat an axe-arm. The warforged generally fall into two camps; those who accept their slavery and those who rage against it. Invented less than half a century ago, warforged were built by Bragonay’s dwarves as machines with a purpose. The master craftsmen didn’t realize that they were actually creating sentient life. Now the warforged can be found throughout Findalay and in parts of Verda. Free warforged have embraced their liberty fully and try to experience all parts of life. They are open to and seek out new experiences. Their thirst for the knowledge of other cultures and lands is unrivaled by by no other race. These free warforged have a fiery passion in their bellies for liberty and want to see slaves set free across Canus. There are many warforged still enslaved in Bragonay. These warforged are content to serve their masters, but still have feelings, thoughts, and emotions of their own, and still share the passion for learning free warforged have. Then there are the warforged who cannot stand their bonds of slavery and spend their days plotting their escape. Warforged reproduction is a touchy subject. The Creation Forges in Bragonay have been out of service since the uprising, though they still work and many debate whether or not the empress and warlords should turn these back on. A few free warforged have discovered ways to build their own offspring however, using pieces of their own body and expensive material components found throughout the land. To get the ritual and blueprints required however, one would need to speak to these warforged directly. These creators do not share their identities with just anyone, lest the plans be used to once again create beings to be used as slaves. Warforged adventurers could be slave liberators, druids trying to figure out their own place in the circle of life, slaves spying on a liberation operation for their master, or anything you dream. Ability Score Increase. Your Strength score and Constitution score increase by 2. Age. Warforged are born as adults and do not age. Alignment. 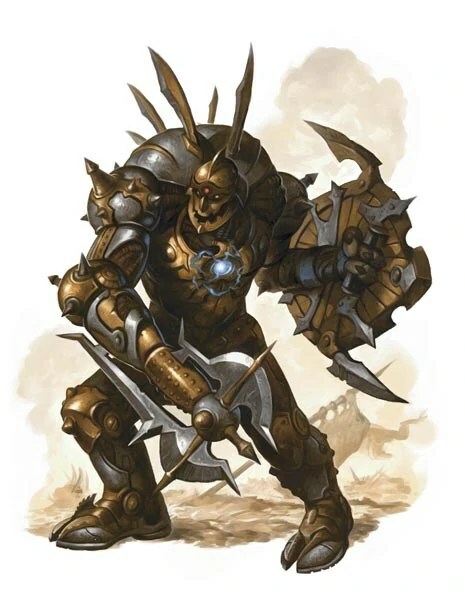 Warforged tend toward lawful alignment, since they were designed to be soldiers and slaves. They usually do not bend either good or evil, since they are usually more focused on the task at hand than its moral implications. Size. Warforged are between 6 and 6 and a half feet tall and weigh between 250 and 300 lbs. Your size is Medium. Composite Plating. You gain a +1 bonus to Armor Class. We’re Off to the (Sub)Races! 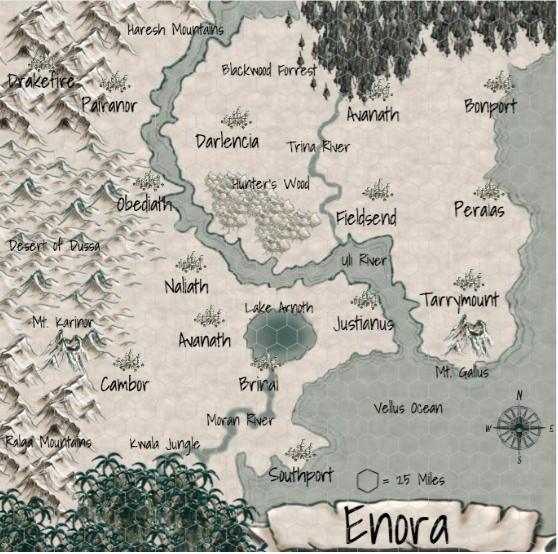 So I’ve already written quite a bit about some of the races available to my players in Exploration Age – the assimar in one post and the deva, mul, and shardmind in another. Yet, I’ve got more yet to be released D&D races I’m going to make available to them and I’d like to give you the mechanics I’ve created as well as the unique story for each race in my setting. First up, the svirfneblin. They’re actually a gnome subrace, so bust out that Player’s Handbook, and check out the gnome. I’ve given you the deep gnome story in another post, so check that out if you want their story. Here are the mechanics. Superior Darkvision. Your darkvision has a radius of 120 feet. Sunlight Sensitivity. You have disadvantage on attack rolls and on Wisdom (Perception) checks that rely on sight when you, the target of your attack, or whatever you are trying to perceive is in direct sunlight. Stonecunning. Whenever you make an Intelligence (History) check related to the origin of stonework, you are considered proficient in the History skill and add double your proficiency bonus to the check, instead of your normal proficiency bonus. Svrifneblin Combat Training. You have proficiency with the war pick and warhammer. Svirfneblin Lights. You know the dancing lights cantrip. Intelligence is your spellcasting ability for this spell. Mohawk duergar is the best. Living with the drow and fighting side-by-side in their constant war with the aberrants are the duergar, or gray dwarves. Like their surface kin the gray dwarves value martial prowess and good well-crafted. This is, of course, because the duergar descended from their surface kin a long time ago. During their bloody war with the chromatic dragons on the side of the shardminds, some dwarves went into The Underdark seeking refuge. These dwarves became the duergar and eventually found an entirely new war beneath the surface. Now, in many ways duergar have more in common with drow than they do with dwarves of the world above. Both duergar and drow deal with the constant stress of their aberrant war and rely on each other with undying trust. While they share brotherhood and battlelines with the drow, duergar do not share their drow’s impulsiveness and live-each-day-as-if-it-were-your-last lifestyle. Almost everything the duergar do is in preparation for war. Duergar are practical and know that a good night’s sleep and healthy meal are more likely than a late night of revelry at ensuring survival the next day. They craft arms and armor, mine metals, and train constantly. Ever vigilant, careful, and calculating are the gray dwarves. 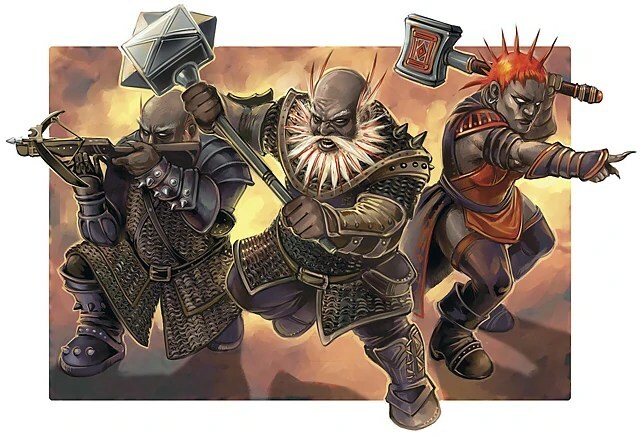 Duergar adventurers could be mercenaries seeking a better life on the surface, aberrant hunters hoping to learn new techniques to help them with their war below, deadly assassins for hire, or anything you dream. Superior Darkvision. Your dark vision has a radius of 120 feet. Duergar Magic. You know the thaumaturgy cantrip. When you reach 3rd level, you can cast the invisibility spell once per day. When you reach 5th level, you can also cast the enlarge spell once per day, but you may only target yourself with the spell. Wisdom is your spellcasting ability for these spells. Shifters are born outcasts. Many are killed as babes, their parents too horrified to look upon them. To the elves they are abhorrent monstrosities. To the werewolves – an evolutionary misstep deserving only to die. Many of the shifters lucky enough to have a parent let them live are still kicked out of the house at an early age, or orphaned when their parent is murdered by bigots. These abandoned shifters find each other and form communities of wandering vagabonds who make a living performing, swindling, and selling crafts. These communities exist all over Findalay and many look forward to the circuses and carnivals the shifters provide. Others feel shifters have been short-changed and try to help these beings find a more established life in Findalay. Some fear the partial werewolf race avoiding and shunning them. The truly fearful seek out and kill these half-breeds. Shifter adventurers could be thieves disguised as traveling circus performers, cunning mages using their magic to predict people’s fortunes, wild, untamed barbarians, or anything you dream. Age. Shifters mature and age at the same rate as humans. Alignment. When it comes to good or evil, shifters are usually neutral, since they embody the spirit of the wild. Most shifters tend to be wild and free and therefore favor chaos over law. Size. Shifters range from just over 5 to just over 6 feet tall and have lean builds. Your size is Medium. Darkvision. Thanks to your lycanthrope heritage, you have superior vision in dark and dim conditions. You can see in dim light within 60 feet of you as if it were bright light, and in darkness as if it were dim light. You can’t discern color in darkness, only shades of gray. Keen Hearing and Smell. You have advantage on Wisdom (Perception) checks that rely on hearing or smell. Subrace. Two subraces of shifter are found in Canus: longtooth and razorclaw. Choose one of these sub races. Longtooth Shifting. Once per day, as a bonus action you may shift, entering a more beastial state for one minute. When you do, you gain a +2 damage bonus to Strength-based attacks and regenerate 5 HP at the start of your turns. In addition, you grow long fangs which function as a light weapon which deals 1d6 piercing damage. You may attack with your fangs as a bonus action on your turn. While you are shifting, you may not cast spells. You can end the shift early on your turn if you so choose. You gain a second daily use of longtooth shifting at 8th level and your bonus damage to Strength-based attacks while shifting increases to +4, and your attacks with your fangs count as magic for the purpose of overcoming damage resistance. You gain a third daily use of this ability at 16th level and your bonus damage to Strength-based attacks while shifting increases to +6. Razorclaw Shifting. Once per day, as a bonus action you may shift, entering a more beastial state for one minute. When you do, your speed increases by five feet, you gain a +1 bonus to your AC, and you have advantage on Dexterity saving throws. In addition, you grow a pair of claws which function as light, finesse melee weapons which deal 1d6 slashing damage. You may attack with one of your claws as a bonus action on your turn. You gain a second daily use of razorclaw shifting at 8th level and your speed increases by 10 feet, you attacks with your claws count as magic weapons for the purpose of overcoming damage resistance, and your bonus to AC increases to +2 while shifting. You gain a third daily use of this ability at 16th level and your speed increases by 15 feet and your bonus to AC increases to +3 while shifting.